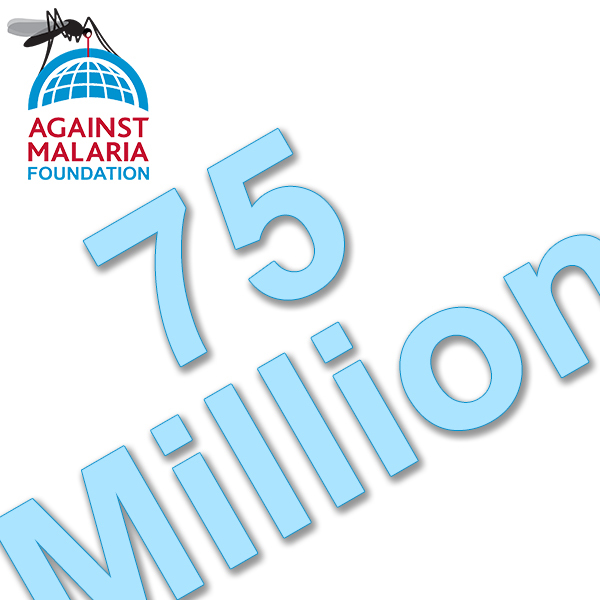 We are delighted to say we have now reached a cumulative total since AMF started of 75 million nets funded or able to be funded! This has been possible through the support of 111,000 people in 189 countries who have made 348,468 donations. Thank you! Once all are distributed, these nets, protecting 135 million people, can be expected to prevent the deaths of 50,000 to 70,000 people and avert 50 to 70 million cases of malaria. Our first net distribution was in 2006 and was of 3,000 nets and our largest distribution to date has been of 12.8m nets in 2017. The total number of nets distributed or planned for distribution is 41.5m nets and distributions totalling more than 30m nets are being assessed now. The net distributions we now fund are multiple millions of nets at a time as this is the way we can best contribute to the fight against malaria. There is a significant gap between the nets we can fund and the requests we currently have so we will continue to work hard to contribute all we can to close the net gap.